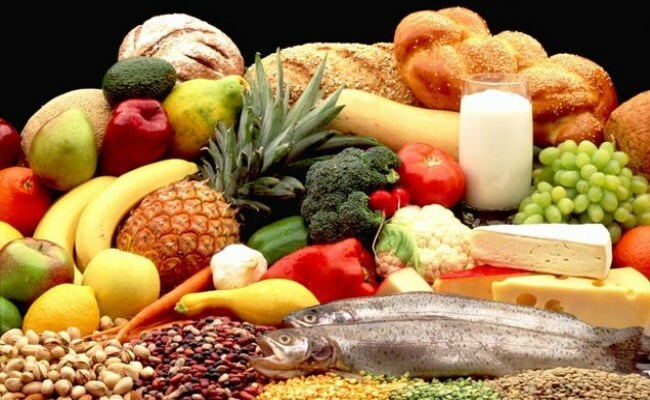 Food for depression is something that will in the coming decades become a common practice, according to many experts. Therefore, it is no wonder that experts in nutrition in developed countries are constantly searching for the ideal menus whose content solves a variety of health problems, including depression and mood swings. Several years ago, many states (Britain, Spain, Japan, Korea, Norway and Greece) published a study with a single conclusion: what we eat is directly related to how we feel. It was found that a diet based on processed foods and sugar and a variety of stimulating substances increases the risk of depression - in some cases up to 58%. How often do you reach for a cup of coffee to wake up or biscuit around two in the afternoon to quickly raise sugar and energy (until lunch time)? Generally, you feel that you eat healthy, but do you know that these sugar and caffeine supplements can bring real chaos to you mood and this is not a cure for depression. Real connection of food and mood is still a mystery, there are some very convincing theories about it. The most obvious indicator is that processed carbohydrates and a small amount of protein make up the diet of most people, and it causes adverse fluctuations in blood sugar levels. Unstable blood glucose in the body disturbs many physiological functions. Low blood sugar levels is characteristic to a form of depression that is often a case in young women, but is not manifested so much with melancholy of mood swings, low levels of self-confidence, general weakness and hypersensitivity. Rather than deal with the ups and downs that make the life of most people, the brain fails to recover from negative experiences and people increasingly fall. It seems that the resistance of the brain is a key factor in the relationships between food and mood. A large number of studies show the same thing: the higher representation of omega-3 fatty acids in the diet, lower the risk of depression because it is an ideal health food for a good mood. It was found that the intake of omega-3 fatty acids in the form of a supplement drastically increases the ability of defense against stress. Moreover, clinical studies have shown that brain cells treated with omega-3 fatty acids react differently to the stress hormone than when this nutrient is absent from the diet. The main difference in the reaction to stress is conditioned by the fact that cells exposed to omega-3 fats generate new neurons when stressed. This process, called neurogenesis, is associated with a reduced risk of depression (the newly created neurons are brain shock absorbers in a stressful situation). In contrast, refined sugar, caffeine, alcohol and fat stop neurogenesis and are not food against depression. According to other theories, meager and inadequate nutrition initiates the process of release of chemicals that cause the symptoms of depression. Processed carbohydrates in the diet do not contain B-complex vitamins, which are essential for creating the neurotransmitters responsible for the encouragement of good mood. Also, some foods (especially those with a high content of fat and sugar) create a similar effect on the brain as drugs. When the effects of it pass the person is again in depressive condition, but some minor inconveniences in life can cause greater mood swings than usual, and therefore they are not food for depression but also its causes. Does all of this mean that in the near future, people suffering from depression will be treated equally by nutritionist and a psychiatrist? Many experts hope that food against depression will become a common practice. Since the importance of nutrition in maintaining the general health is becoming more available we hope that experts will in all likelihood, soon realize the benefits that food can bring to psychological health. Of course, no one argues that people who suffer from depression do not require the help of a specialist, because if you do not eliminate the physiological causes of depression, omega-3 fatty acids cannot help a person feel better. Proper diet certainly increases the body's resistance to daily stress, but in any case it is worth to correct your menu. Even people who do not know they have a problem with depressive phases and their condition explain the loss of will and energy, and will be surprised by the positive effects of proper nutrition. So, healthy food for depression means that you stabilize blood sugar levels by reducing the amount of processed carbohydrates in the diet, and increase the proportion of protein in every meal. Also, add more omega-3 fatty acids (nuts, seeds and oily fish) and soon you will be convinced to what extent your mood improves. We suggest a few simple meals that will provide your brain with "food." The organic meat - contains a significant amount of omega-3 fatty acids, which will reduce the risk of depression by 50%. Integral carbohydrates - stabilize blood sugar levels and enable the establishment of essential chemicals in the brain - are the perfect food for depression. Curry - the main component of the spice turmeric - raises the level of BDNF substances in the body, whose low-value is characteristic for depression. Ayurveda medicine says that curcumin is food for depression and various anxiety states. Dark green leafy vegetables - contains plenty of folic acid, which stimulate the production of neurotransmitters for good mood. Mackerel - this fish is an excellent source of omega-3 fatty acids and regular consumption of mackerel raises the levels of brain matter GABA, which blocks the feelings of anxiety and stress, it is a great healthy food for the brain. Legumes (beans) - rich in tryptophan, amino acid necessary for the creation of serotonin (hormone of happiness and good mood). Serotonin in food is extremely important in these conditions. Red pepper - German researchers found that we calm faster when the levels of vitamin C in the body are high. Red peppers are among the richest sources of this vitamin. Orange - this type of citrus fruit is rich in inositol, substance that helps produce serotonin, excellent food for depression. Blueberries - participants in a British study were registered to have improved mood by 15% after consuming large portions of this fruit and recommended is a natural blueberry juice. Eggs - contain tryptophan and choline (B vitamin), which reduces the risk of depression. We have prepared more extraordinary recipes with healthy food, which will certainly give an answer to the question; how to lighten the mood without medication? Legumes are a good source of folic acid, vitamin B-complex and selenium. Chickpeas that is definitely excellent food for depression. Heat the oil in a pan, then add the onion, cumin, turmeric, curry and ginger powder. After two minutes, add celery and carrots and two tablespoons of broth. Cover the pan and cook for two minutes. Add chick peas, pureed tomatoes and the rest of the broth. Turn up the heat and allow it to boil, and then reduce it and continue to cook for another half hour. Serve with rice and spinach. It is a great food for depression and will help you overcome the arrival of colder weather. Chestnut and white beans are rich in vitamins B-complex, but are excellent food against depression and improves mood. Place all ingredients in a deeper pan, allow it to boil, then cook on low heat for 35 minutes. Mash chestnuts and beans (you can use a hand-held / rod blender) and serve with some whole grain bread. Salmon is rich in omega-3 fatty acids, and spinach in folic acid, which is a great combination and ideal food for the brain and a good mood. Place the salmon fillets in a shallow dish. In a small bowl, mix the juice and rind of orange, honey and mustard. Pour over fillets and leave in the fridge to marinate for 30-60 minutes. Meanwhile, preheat oven to 180 degrees. Bake the fillets for 20 to 25 minutes. Serve with rice and spinach steamed, foods rich in folic acid are real food for depression. Mushrooms and lentils are a great source of selenium, which are the perfect combination and are the perfect food for a good mood. Keep mushrooms immersed in warm water for half an hour, then drain them and use that water for cooking lentils (add water if necessary). Heat the oil in a pan and in it fry garlic, leek, celery and onion (about two minutes). Then cover the pan and cook at low temperature for five minutes (until all ingredients are tender). Stir in mushrooms, cooked lentils and nuts, and finally add the thyme and white pepper. Recent research reveals that eggs contain more vitamin D than previously believed - low levels of this vitamin is linked to the occurrence of depression. Beat the eggs with ground black pepper. Heat the oil pan at a controlled temperature and pour the mixture for scrambled eggs. Carefully stir until baked, and when they are ready, remove the pan from the stove-top and stir in the chopped salmon and chives. It is a real food against depression and for a better mood. Tomato, olives and anchovies in the Mediterranean cuisine are used often and in large quantities. It has been proven that these foods reduce the risk of depression by 30% and bring a solution to lighten the mood. Pour the sauce into a pan and add a tablespoon of water, olives and cherry tomato. Cook on low heat (you should not boil it) until tomatoes are tender, then add the anchovies. Serve with integral spiral pasta. We hope you will like our suggestions, if your finances allow you try some of them you will not go wrong these exceptional healthy foods for depression, which will make you feel good.